Tea Tree essential oil has many benefits, and one of those benefits is to help clear the skin of blemishes. 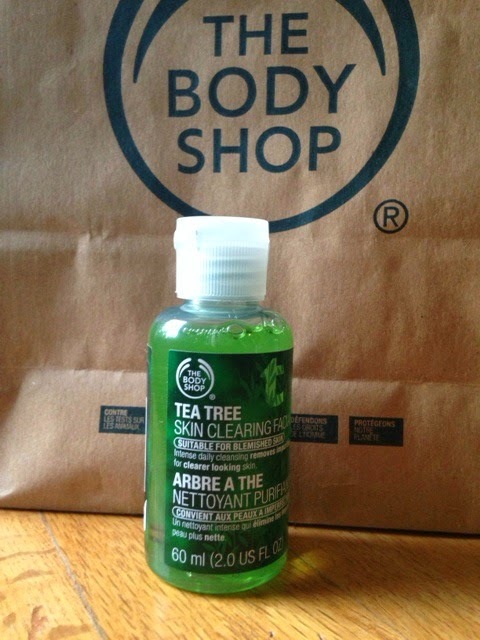 The Body Shop has a great Tea Tree facial cleanser, and it is meant for that problem skin. People who don't have problem skin can also use the Tea Tree facial cleanser because it will prevent blemishes from occurring. 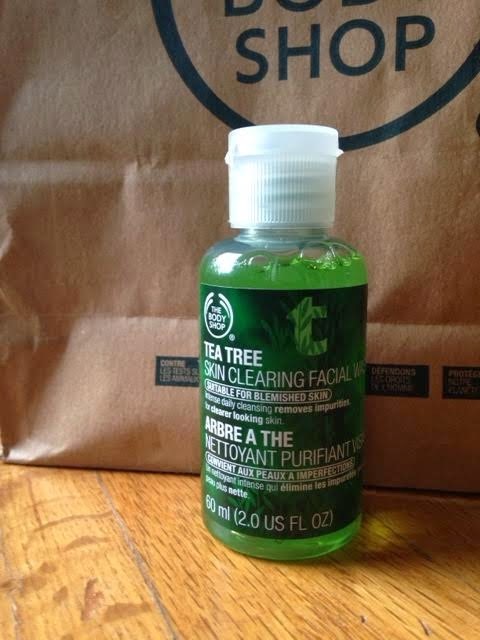 I purchased the Tea Tree Skin Clearing Facial Cleanser on Wednesday from The Body Shop, and I have been using it ever since. I try to not use too much, because the smell of tea tree oil can sometimes be overpowering. Since tea tree oil is a somewhat rough essential oil, I would not recommend this facial cleanser for people who have sensitive skin. It took two days for my little blemishes to be gone! I am very pleased with this cleanser. I would like to purchase the lotion that goes with this cleanser so I can have the full tea tree skin care effect. I love this cleanser! It actually works! From previous experience, I have learned that all natural, and organic facial cleansers are the ones that work better than the generic brands of facial cleansers, with all the acids, and chemicals to try and clear your skin. It is the natural things that work the best.